Canada thistle is a serious issue in range conditions for a variety of reasons, particularly in years following a drought. Effective control of the weed begins in the spring, and is followed up in the fall and subsequent years according to weed control experts in South Dakota. "Canada thistle is a perennial plant with an extensive live root system that once established can produce an allelopathy, which is a toxin it emits into the soil that inhibits growth of other plants. What makes it so special is that incredibly fast growing and establishing root system, and you have to get to that entire root system before you eliminate the plant," explained Lester Neilsen of Rapid City's Warne Chemical. When considering control, South Dakota State University (SDSU) Extension Integrated Pest Management (IPM) Coordinator Darrell Deneke said the first step to take in early spring is determination of the scope of the problem. "The main thing is go find any patches of Canada thistle first and foremost," began Deneke. "Each patch is probably developing an extensive root system, and is where the emphasis of control needs to occur." After locating all patches of thistle, Neilsen recommends identifying the type of thistle as an important second step. "The biggest aspect of control is proper identification. 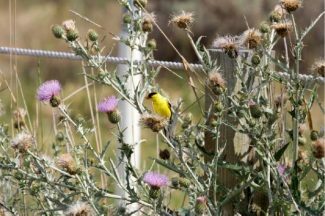 We have 6-8 species of thistle in this area of the U.S., and most are biannual plants that can be control with relative ease compared to Canadian thistle," he explained. For those who do indeed have a Canada thistle problem, the two biggest aspects of effective springtime spray control are moisture and patience. "If there is no moisture and consequently no growth, there is no point in spraying. If there is moisture and growth, let the plants get some maturity to them. We prefer to apply chemical to it in the pre-bud stage, which is typically seen mid to late May. Waiting will ensure later emerging plants are up, and will get more of the herbicide into the root system while also preventing the plant itself from going to seed. What spring spraying does is challenge the plant by killing off its top growth and preventing the year's seed production," noted Deneke. A variety of herbicides can be used effectively to control Canada thistle, including: 2 4-d, Milestone, Tordon, Dicamba, Curtail or Commando, or a premix of multiple herbicides. "Tordon loves to kill trees – don't use it anywhere near a tree. Milestone is also not very nice to many types of trees. Curtail or Commando are really the only ones we have in our arsenal that are very good at controlling thistle and that you can use in and around trees. By that I do not mean you can spray the tree, but you can spray right underneath it without problems," noted Neilsen. Deneke added that water poses another challenge when determining what herbicide to use, and suggested 2 4-d amine as a reliable option in areas near creeks or reservoirs. "Another thing in range situations is we need to be aware that most of things we use while spraying Canadian thistle are also very hard on good forb and broadleaf species we want to keep. 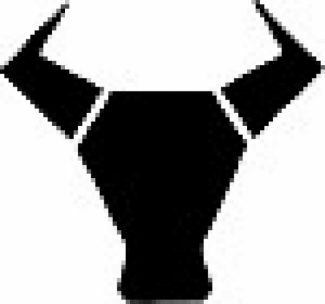 For that reason I much prefer to conduct spot treatments over broadcast treatments across an entire pasture," he stated. Following spring spraying of thistle, fall follow up is a critical second step in effective control. "Always revisit Canada thistle patches in the fall and spray any regrowth again – and there will be regrowth. There are options at that point of spraying with the same herbicide, or choosing one with a residual that will carry over into spring of the following year," noted Neilsen. Additional means of control include mowing thistle prior to it flowering and producing seeds in the spring, then spot spraying in the fall. There are a few insect species that can also be released for the control of Canada thistle, but their efficacy is typically about 30 percent, a level that Deneke said is not that impressive when dealing with a plant that can produce several thousand seeds annually. "If you do an excellent job in your control methods you can expect a 75-80 percent reduction within a stand in any one year you treat it. That means it will take you about three seasons of both spring and fall treatments to get to zero," explained Neilsen. 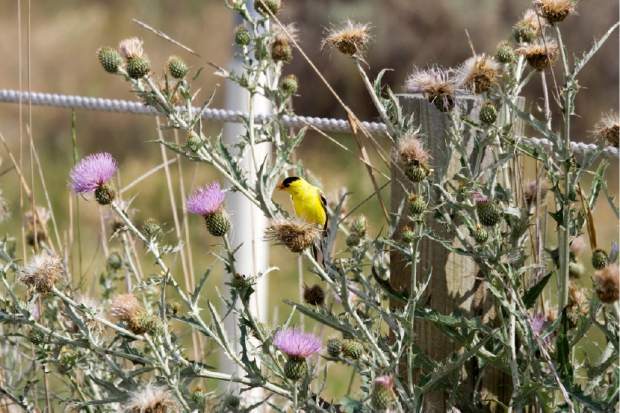 Deneke added in many cases, particularly when dealing with severe patches, up to eight years of control could be necessary to completely eliminate a patch of Canada thistle. "If it's well established those roots could be 15 feet deep or more, and they will all be holding carbohydrates, or a food source, that the plant can draw on each year," he said. The best way to prevent a Canada thistle outbreak, and/or to maintain control is to keep a healthy grass stand in place. While good grazing management will help achieve that, Deneke noted it is not a catchall. "Droughts will happen on a fairly periodic timetable, giving Canada thistle a real edge some years. We need to manage around that by working really hard on controlling the weed on good years and managing our range accordingly each year to keep the grass species healthy and prolific," he said.